The recent summit between President Putin and Prime Minister Singh may have heralded a new inflexion point in the bilateral. It would seem that India-Russia relations might have bucked the season of gloom. For years now, since Prime Minister Yevgeny Primakov’s reorientation of Russia’s foreign policy eastwards, we’ve largely seen two governments making positive statements, not matched by actions on the ground and compounded by a general sense of drift. Adding to this has been a waning interest in India of all things Russian and vice-versa. Two close friends gradually drifting apart, a contemporary tale of the engagement between Moscow and New Delhi. The recent summit between President Putin and Prime Minister Singh may have heralded a new inflexion point in the bilateral. On a cursory comparison of their joint statement issued on October 22 with the previous four summit statements, there seems very little change on the surface and if anything, these statements continue to remain an exercise in blandness. But connecting the dots we get three game changers, which while mentioned, have not been described under the strategic rubric that they perhaps should have. The first is trade which stood at $7.46 billion in 2009, $8.53 billion in 2010, and $8.87 billion in 2011, and has suddenly spurted to $11.04 billion in 2012, registering a 24.5 percent growth year on year. This was the best performance of Russia’s top 25 trade partners. This is particularly surprising given the present world economic situation, the lack of growth of India’s world trade in 2012 and a marginal growth of 1.8 percent growth in Russia’s world trade. Does this mean that India today has firmly established itself as a partner in more than just the fields of defence and energy to Russia? Are there initial signs of diversification visible? And how the two countries cement this increase in quantity, quality and diversity of trade will be crucial for the strategic partnership going forward. 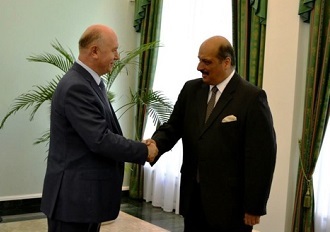 The second is Russia’s determination to push through a free trade agreement with India – the comprehensive economic cooperation agreement (CECA). Given that most of this increase in bilateral trade has been in-spite of the two governments (outside of the defence sector), this is of particular significance. This will give the Indian private sector critical access to such landlocked markets like Belarus and Kazakhstan, which are part of a customs union with Russia. Not only does this give a fillip to India-Russia ties, it leverages the growing volume of India-Russia trade, to give the northern access to Central Asia, benefit of new economies of scale. The former Soviet countries have for long sought a stronger Indian presence, be it economic or political in their efforts to balance China. But thus far, Indian attempts have been frustrated by Pakistan’s refusal to allow transit and the complicated international situation with respect to Iran. What the Russia route means is that India and Russia can now piggyback on each other and create serious strategic congruence and bring synergies into play like never before. But this development could additionally play another critical function. By creating a strong market in Central Asia that is integrated with India, it helps create regional pressure to bear on Pakistan to allow India transit with substantial economic benefits to itself. In effect, Russia, if this game plays out well, may just end up becoming the ‘x factor’ that normalised trade between India and Pakistan. This is advantageous for Russia, since it would give it a pivotal geo-economic and strategic role on the world stage that it hasn’t played in a very long time with relation to big countries. Lastly, the transactional listing of defence deals in the joint statements is symptomatic of India’s fear that it simply cannot compete with China vis-à-vis Russia when it comes to economic stakes. 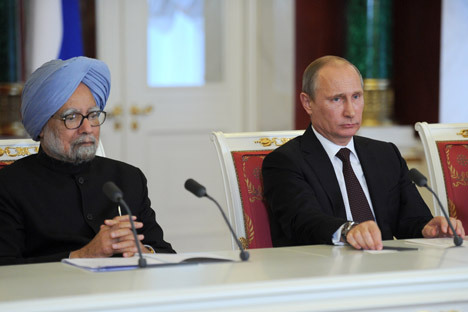 However, the trade figures should boost India’s confidence in its dealings with Russia. It now needs to take the bull by the horns and insist on a quality-quantity matrix that regulates future Russian arms sales to China. By formally affirming a commitment to maintaining India’s qualitative edge over China, Russia can do much to overcome the almost consistently negative press in India in this regard and bypass other minor irritants in the relationship. It has never been a better time and never before has India come with this much strength to the negotiating table. In the end, reaffirmation and recalibration of Russia’ role in India’s future was prominent and the short and successful summit was capped by perhaps another nuclear submarine for India and a doctorate for Prime Minister Singh.